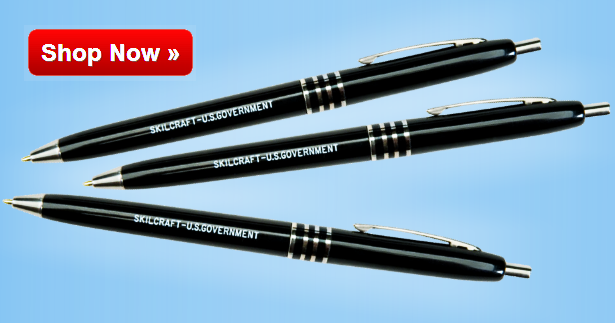 Skilcraft Pens: find out about the U.S. Goverment's favorite pens. Skilcraft Pens celebrated for long career of government service. It’s not every pen that gets its own Washington Post profile, but then not all pens are U.S. Government Skilcraft Pens. Skilcraft pens are the official pen of the federal government, so you’ll have used them at post offices, military bases, gas stations and more . Each Skilcraft Pen can write continuously for a mile at temperatures as high as 160 degrees and as low as 40 below. And with GSA pricing, they cost less than 60 cents a pop. But Skilcraft pens are noteworthy for more than their ubiquity, performance & modest price. The manufacturing process is pretty amazing too. Skilcraft pens are assembled by blind workers at AbilityOne plants in Wisconsin and North Carolina. These plants turn our more than 4 million a year. Though the Postal Service alone order 700,000 a year, the military is AbilityOne’s biggest pen customer. Skilcraft pens have been used in war zones around the world, from Vietnam 40 years ago to Afghanistan today. Skilcraft Pens are so much a part of military life that Tiger Pens Blogger Tony Bridges, the son of a navy machinist, remember kids showing up at school with pellet guns made from reconfigured Skilcraft Pens. Due to their long and storied history of military service, a lot of folklore has sprung up around the humble Skilcraft Pen. For example, the pens’ tips are said to be the maximum length allowed for women’s fingernails in the military. The pen is also said to equal the 150 nautical miles on Navy maps. I don’t know how true any of that is, but it certainly sounds good! You don’t have to join the military or get a government job to get a few Skilcraft Pens of your own. Unlike many retailers, OnTimeSupplies.com sells the pens to civilian and government customers. You don’t have to make any special requests. 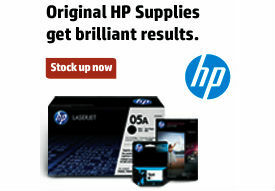 Just order online & your pens will arrive in a day or two. This is definitely ‘the best pen’ I have ever used. 13 yrs US Army… I have missed these pens and thier functionality. Another bit of lore about these pens. In the Infantry we use them to adjust the front site post! The hole where the pen tip leaves the pen itself is the perfect size for rotating the front sight. Writes even below freezing temps and can definitely endure the heat of Iraq and similiar environs with ease. Never a better pen. Thank you for the great memories and making such a time trusted and battle tested pen available! I was cleaning out a desk I had used 40 years ago while going to school in DC. It still works, even the ink hadn’t dried up. This pen is thee best pen I have ever used, growing up in a military family, through 26 years Ret. USAF to present day!